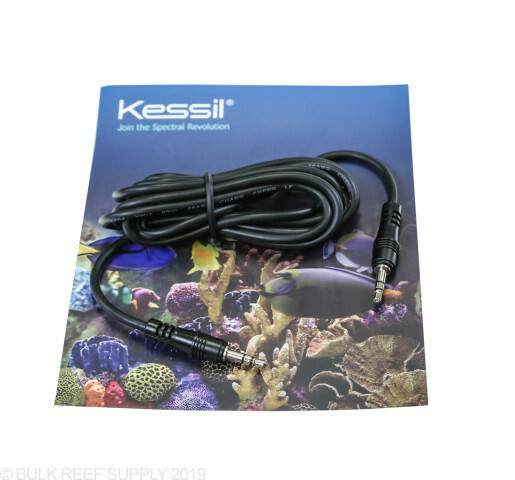 The Kessil Unit Link Cable will allow you to connect multiple Kessil lights in a "daisy chain" series making a master/slave relationship between your multiple lights. Each link cable will connect one light to another. Simply plug into the "OUT" port of the Kessil light you wish to make the master, and then plug the other end into the "IN" port of the other light, and that will directly follow the master. Compatible with all controllable Kessil A-series and H-series lights. Length: 6 Ft. or 20 Ft. 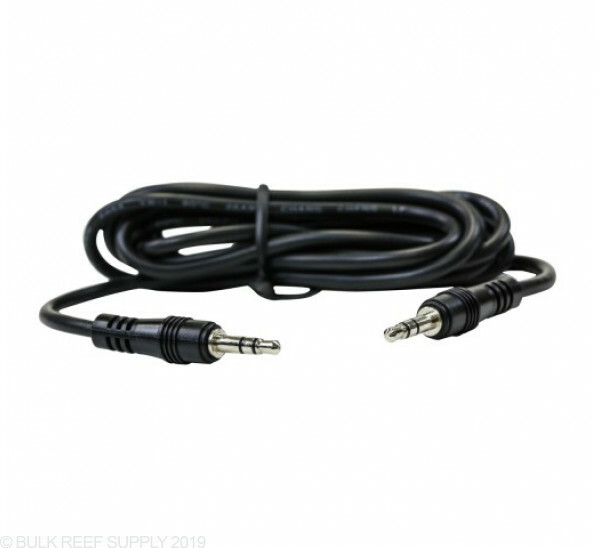 This is a standard 3.5mm audio cable you buy for $2 online or $5 at a local store. Got the 6 foot cable and it was definitely long enough to link my two Kessil lights on my 30 gallon long tank. I’ve used a variety of shipping options from BRS and they always get it right the first time. Not much to say other then the cable does exactly what it was designed to do, link two Kessil lights together so that they can communicate with each other and to my Apex. Can the Kessil a360we and a160we be linked together? If I use the spectral controller with the a160we and a360we, will the settings work for daisy chained light (assuming the link works) operating as one? Can i use this cable to also run the reef octopus various 8 pump to connect to my apex fmm module. 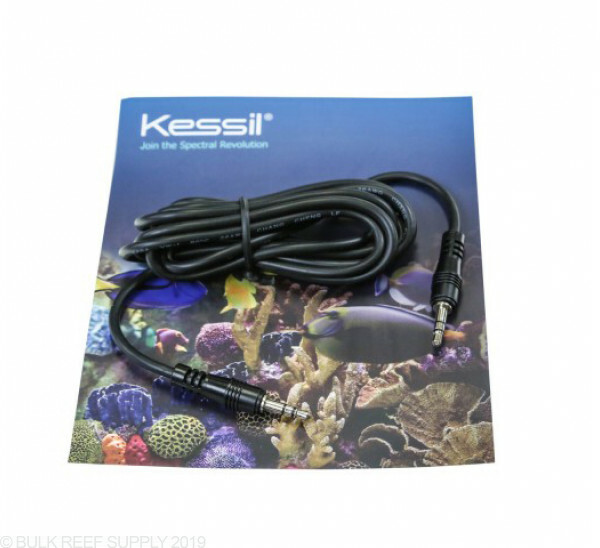 I know there is another kessil cable that can be used to plug in but if its just a straight 3.5 mm stereo plug it should be able to plug into the fmm. is that correct? In order to control the Varios pumps, they require a 0-10v reference port. The standard stereo plug port on the FMM will not communicate/regulate the necessary information for the Varios to be controlled. For control through the apex, we recommend the Ice Cap Y Module cable or Apex to kessil cable will serve nicely.